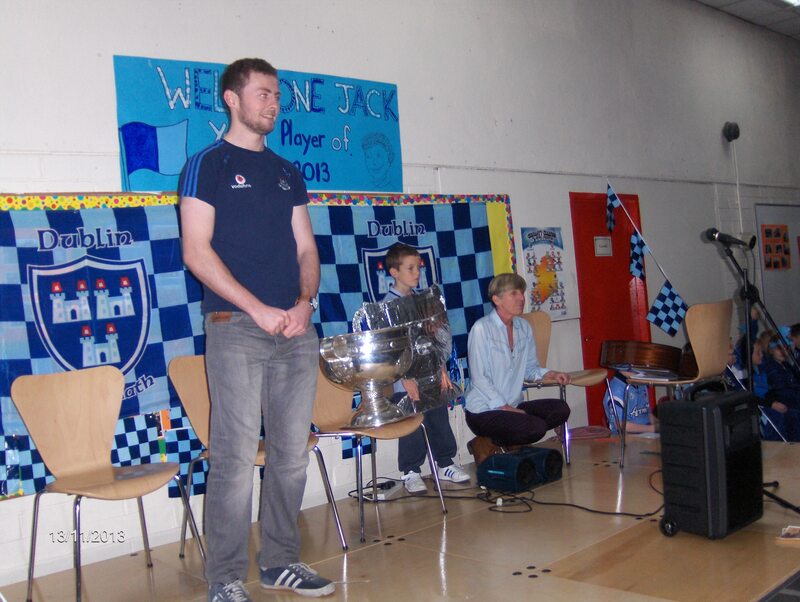 Jack McCaffrey brought the Sam Maguire to the school in November. 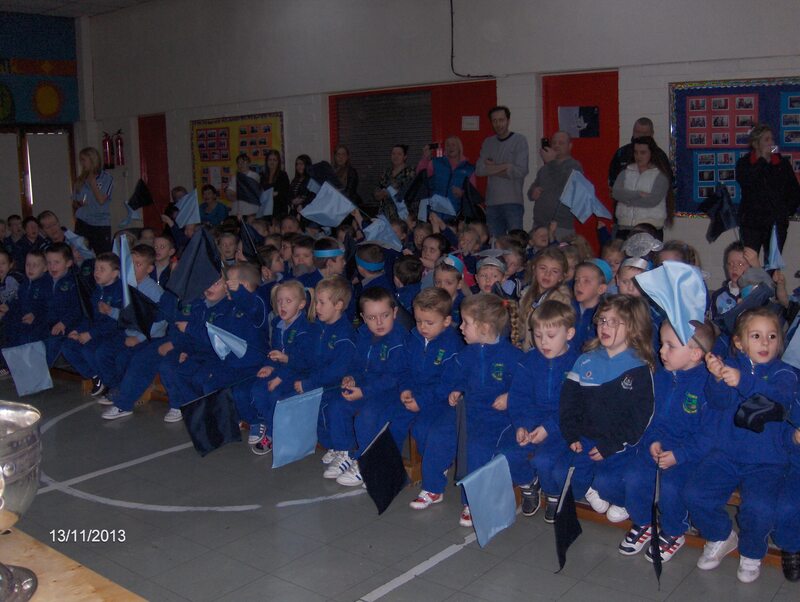 The children dressed up in their Dublin gear and waved flags as they sang Dublin songs. They were incredibly excited and started an impromptu ‘up the Dubs chant’. 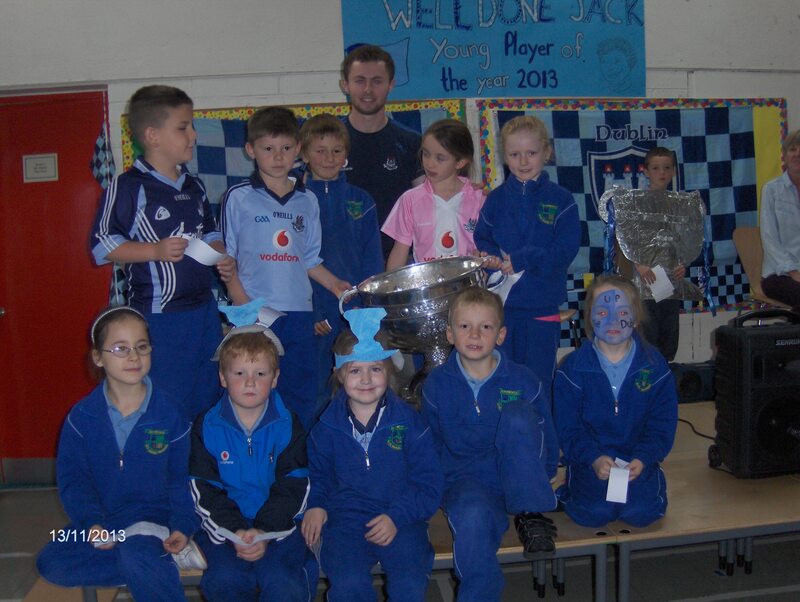 Some first and second class children asked Jack some really good questions and he gave them good advice on how to stay fit and healthy and maybe even win the Sam Maguire themselves some day. Posted on December 10, 2013 by martinmiss	• Bookmark the permalink.